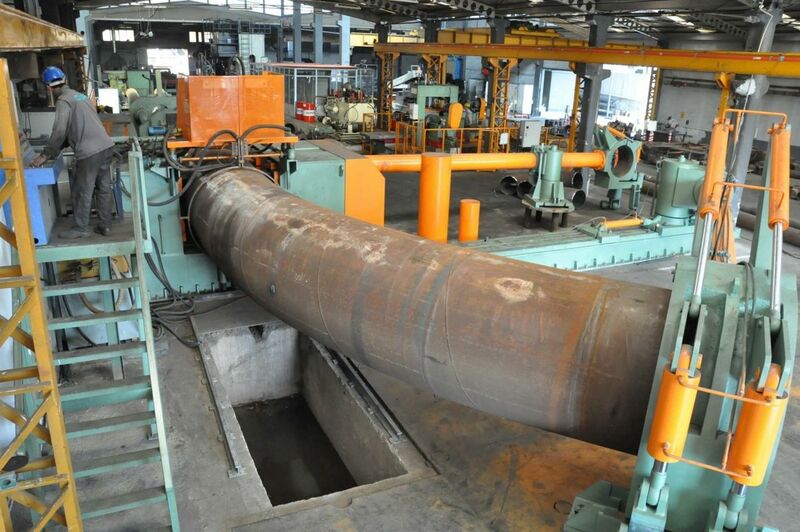 Pipeline System is one of the world's leading manufacturer of induction bends. 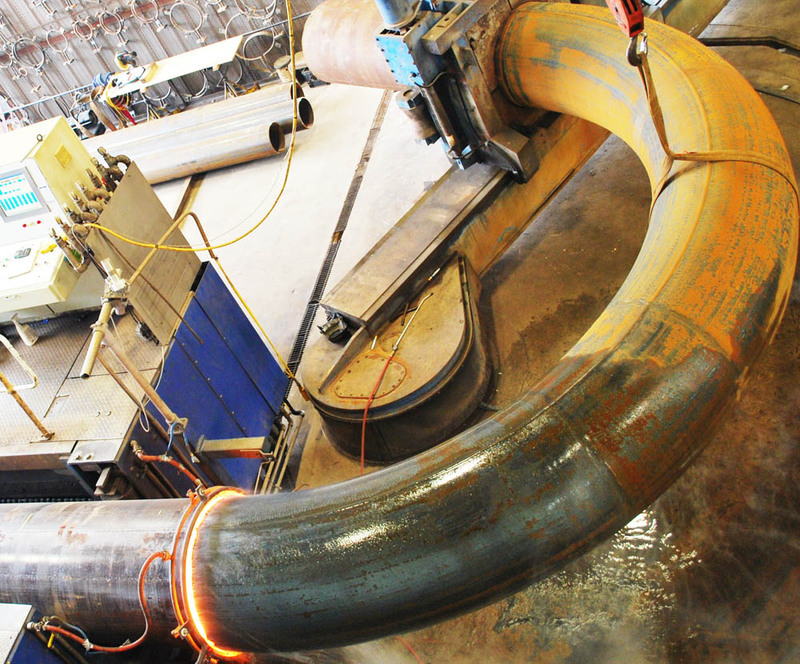 Induction bending is simply the application of heat to conventional pipe or tubing and forming the exact shape required. 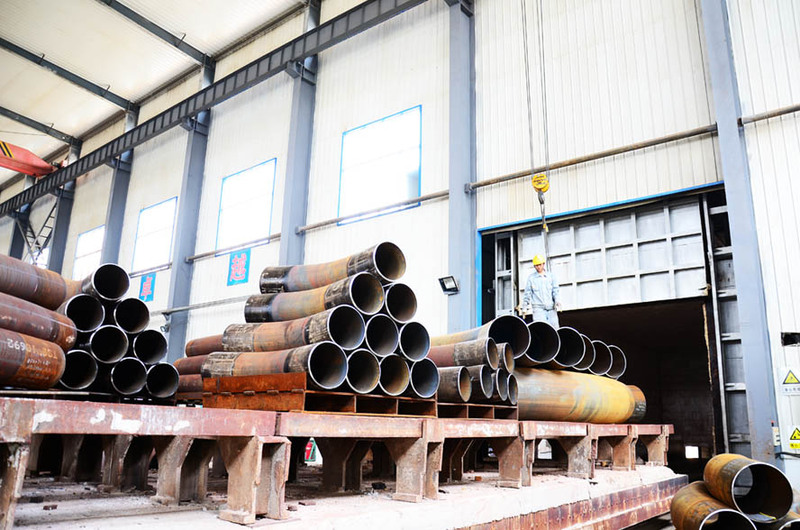 We can produce exactly the piece needed using the customers material of choice, including bi-metal corrosion resistant alloys. 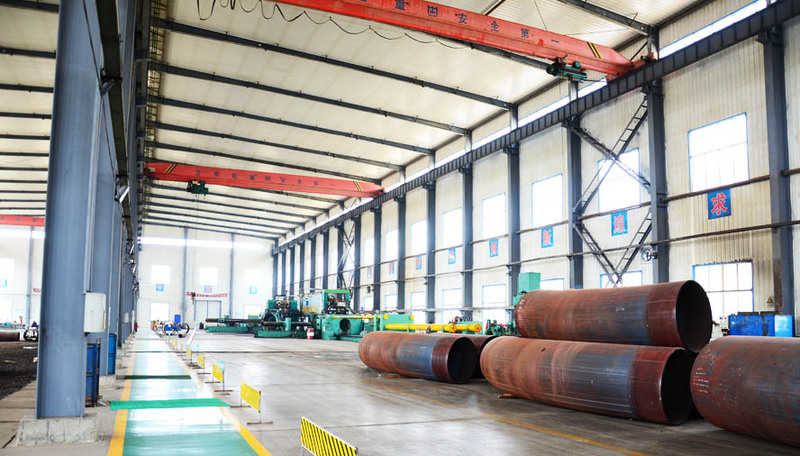 Large diameter and heavy wall production is also available. 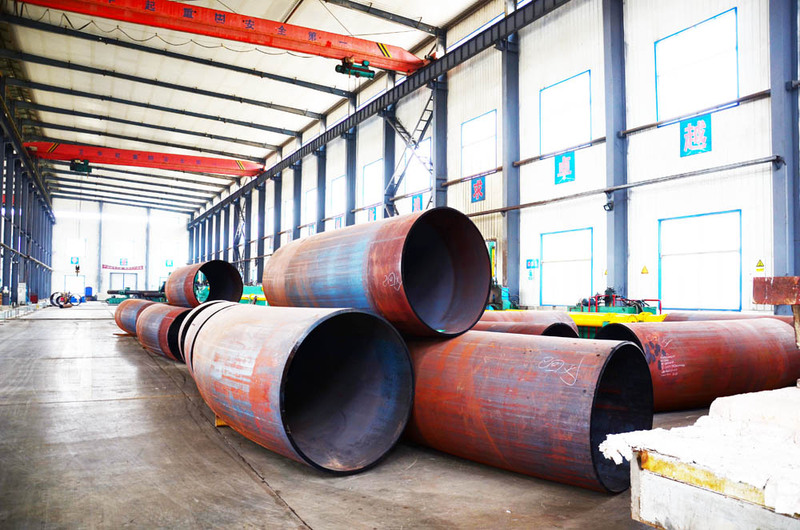 This process is performed per ISO 15590-1 and ASME B16.49. Материал: API 5L, А106, Тръба a333, A335, A312, bi-metal alloys. 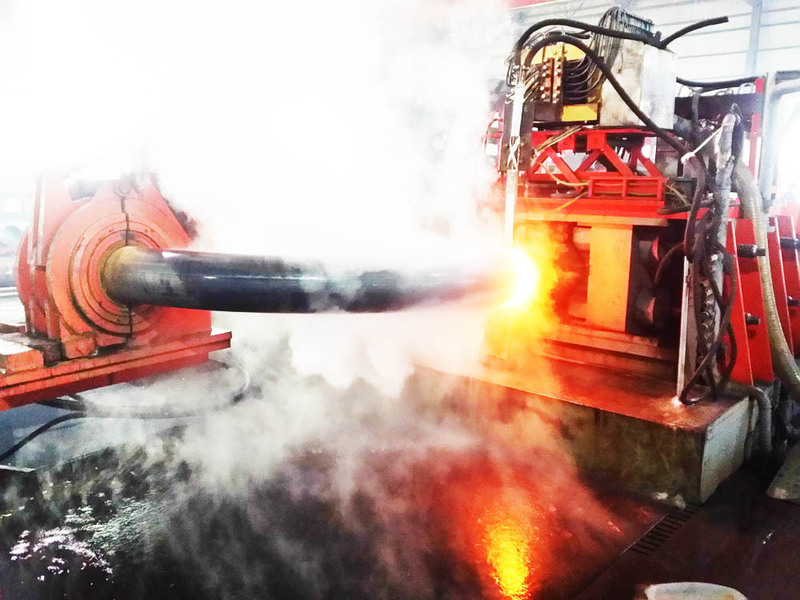 Forming temperature: ±10°C from the qualification temp. Use of induction bending is especially beneficial where laminar flow is desired. This technology can replace most elbows and fittings used in traditional designs. Flow Improvement: The manufacturing process adds no welds to the material, eliminating additional resistance found in traditional elbows. Proper material, diameter and radius selection further reducing resistance and achieving smoother flows and reducing wear within the induction bend products. Сила: Induction Bends are stronger than traditional elbows and fittings. Wall thicknesses are uniform. Cost Effectiveness: Straight material processed with our technology is almost always less expensive and available faster than traditional components. The durability of our products will allow you to maintain less inventory of fittings and elbows. ТЕХНОЛОГИЯ: We utilize the most advanced equipment available. Temperatures are closely controlled, resulting in finish consistency providing consistent strength and hardness. We are able to maintain the geometric plane within 3mm. We guarantee back arc thinning superior to the competition. на околната среда: Our processes do not require the use of oils or lubricants in the forming process. In addition, all of our cooling water is reclaimed and reused. We consider and mitigate the environmental impact of all of our manufacturing processes.